When we were young, we loved tip-toeing downstairs while everyone was still sleeping early on the morning of 25 December to see if Father Christmas had been and filled our Christmas stocking with gifts. We'd smile with glee when we saw that he had, and race back upstairs to hide under our covers pretending to snooze until everyone else woke up. We're sure that's a childhood memory that most of you will be able to conjure up too. Why not channel your nostalgia into creativity ahead of the holiday season by crafting a Christmas stocking or two for this year's festivities using wonderful patterns from our online shop? Whether you're a knitter or crocheter, we have a number of designs we know you're going to adore. Our Christmas Stocking Knitting Pattern bundle contains instructions for two traditional styles. Red with white trims, one takes inspiration from Father Christmas' hat. The other is traditional with horizontal stripes. Both complement each other so they'll look great when displayed side by side. These classic stockings are really quick to knit when you work with a chunky yarn - great news if you've got a number to make! If you'd prefer to show off your skills with a crochet hook, we're lucky enough to have a pattern for a Christmas stocking decorated with intricate flowers. And we're sure you'll be thrilled to hear that the Christmas Stocking Crochet pattern is relatively simple to transform into a fancy sock. Once complete, stuff this statement decoration with toys, chocolates and other tiny trinkets and hang it proudly from your fireplace. 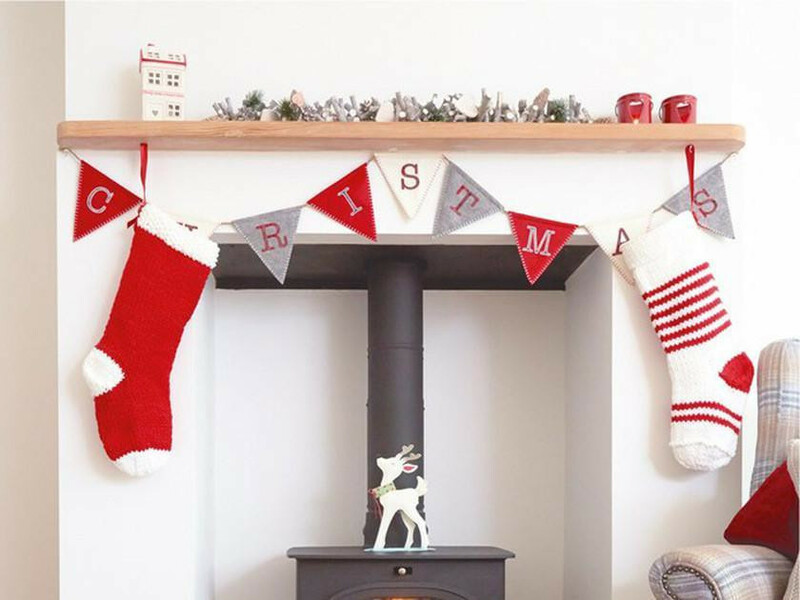 Keen to craft other festive makes for your house and family? Check out our round-ups for the best Christmas jumpers, gifts to get to work on now and statement pieces for your home.